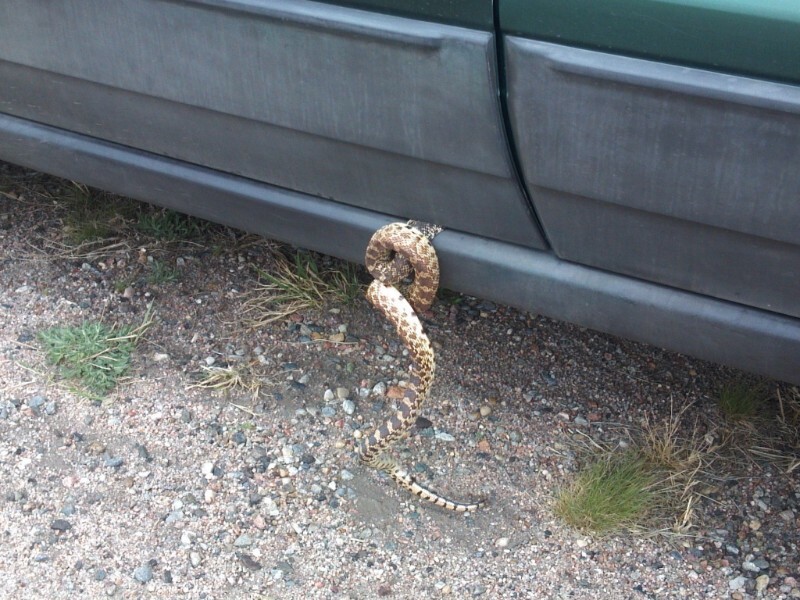 Bull snake caught in a car door. The snake survived. Courtesy CPW.